With long, outstretched front legs, Crab Spiders bear a resemblance to their crustacean cousins even though they don't always walk sideways. 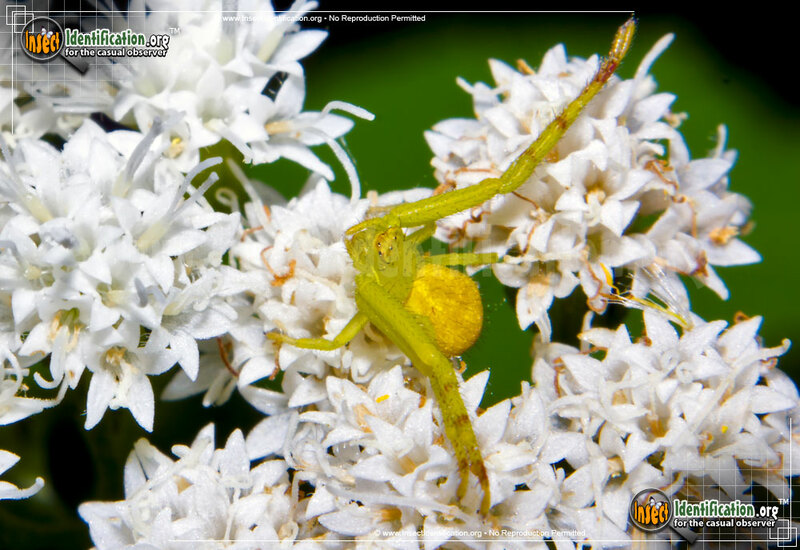 Crab Spiders are commonly seen in flowers where they wait for insects to wander by. 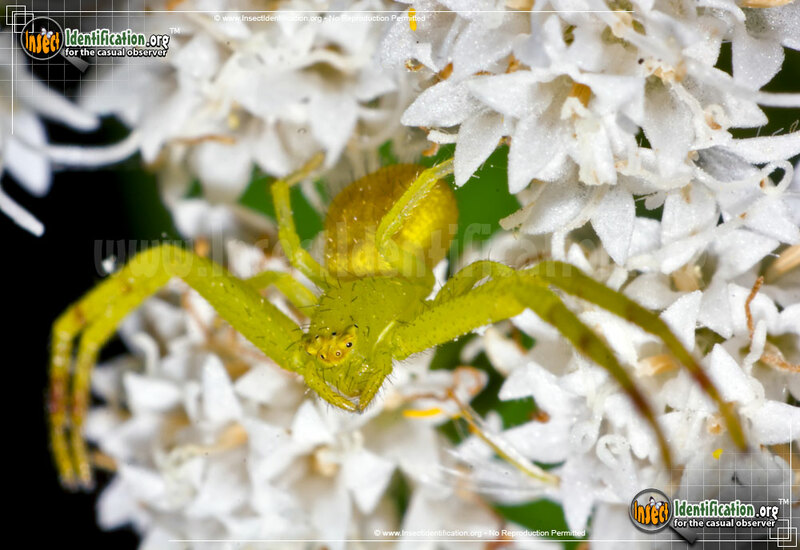 Fast and agile, the Crab Spider can capture a fly, bee, or beetle and inject venom to paralyze it. The long front legs may be used to help hold down large, or struggling insects. Strong jaws help Crab Spider inject venom into prey, and their strong legs carry it back to a retreat for consumption. 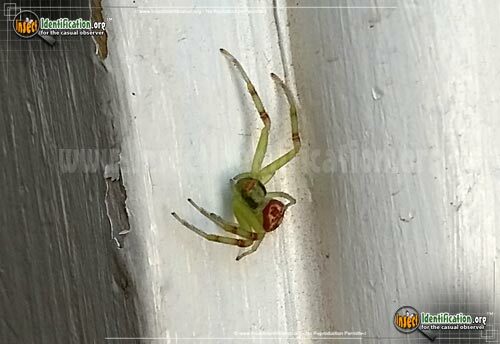 The species of Crab Spiders in the Mecaphesa genus have tiny hairs protruding from the head, legs, and body. Look for them on flowers, under petals or on adjacent leaves. They may be green, yellow, white, red, brown or a mix of many colors, making them difficult to spot on bright petals and blooms.